1. As stated already in EPDP’s public communiqué, EDA has abandoned its founding principles of uniting the opposition camp under a minimum political platform, which was to leave contentious political issues for another day and instead to focus on the removal of the regime. 2. With the formation of the ENCDC, the days of EDA are numbered lest political territorial conflicts lead to open infighting. EDA is a lame duck supra-organization. As awate.com opinion clearly stated, it is better for the feuding opposition political groups to part ways and for each side to pursue their political objectives consistent with their beliefs and views instead of dwelling on negative propaganda against each other. We should accommodate each other because, although not ideal and unlike military battlefields, political battlefields are more flexible to accommodate multiple struggles at the same time. 1. The opposition camp still lacks recognizable and strong leadership. The Eritrean public won’t rally behind committees, political parties and broad coalition with high sounding names but without strong leadership. Leadership isn’t about backroom dealers. Capable leaders inspire people! For instance, one can ask the vast majority of Eritreans in Diaspora to name three leaders within EDA, ENCDC or within the wider opposition camp and one is only met with blank stares. That is reality! Opposition message can only be conveyed to the public by recognizable, credible and strong leaders, preferably with charm. Except with a couple of leaders, we don’t have deep thinking leaders with well-known integrity. Instead, they would rather hide behind endless communiqués that aren’t worth the paper they are written on! The only thing committees are good for is for passing the buck (i.e., no one wants to accept responsibilities). 2. ENCDC/EDA’s entire political platform is based on hodgepodge issues that are contradictory to each other. One is left with the impression that the supporters of EDA/ENCDC would rather experiment their hodgepodge issues and political platforms on a nation. Cohesive and coherent opposition movement isn’t created by agreeing on the basic principles only but by ironing out inconsistencies within its political platform. Otherwise it would be high stakes gamble with a nation, with ordinary Eritreans paying high price while those with fairytale ideas enjoy the protection afforded by their dual citizenships. Credible opposition can only be created if contradictions are resolved, and vision and strategies are formulated and communicated to the public, and challenges are swiftly addressed as they arise rather than burying them. Let us not underestimate the public for the sake of expediency or for the sake of convenient thinking designed to hide our ignorance and lack of creativity. 3. After over ten years of ENA, EDA and now ENCDC, the general public is tired of more talks and meetings that don’t present concrete actions plans. We have become highly skilled talkers, talk and more talk; discussions and then more discussions; meetings and then more meetings; followed by even more boring communiqués followed by contradictory communiqués to refute other communiqués. Are we a nation of blubberers? Is politics just our way of socializing over coffee, or a form of hobby with no need to show results? This is pathetic! TV Dehai Eritrea (opposition television) is just a carbon copy of ERI-TV, minus the interesting television dramas, with boring & dry news about how successful each of the 10 EDA’s political parties meetings and ENCDC meetings were. Knock, knock, is there anything new? Nothing creative and concrete information is ever relayed to the public. Even its coverage of the Middle East Revolution has been nearly as non-existent as ERI-TV. It goes to show that we are made from the same fabric! Similarly, no one can differentiate between EDA meetings and PIA Ministerial meetings. They all take place behind closed doors, independent journalists aren’t allowed to attend and report in their own words, and finally only sanitized statements are issued to the public that tells the public how successful their meetings were. The public isn’t given any detailed information to arrive at its own conclusion. In my view, the opposition camp must seriously examine its efforts for the last ten years and, first, assess its own strengths and weaknesses, and second, reformulate its strategies to remove the regime within its capabilities. Although the formation of ENCDC is encouraging in the sense that it is a manifestation of the opposition camp’s efforts to reinvent itself, the objectives and approaches of ENCDC are unrealistic and is doomed to fail. For clarity, this writer harbors no ill-will towards ENCDC, and that if they do succeed it is for the benefit of all us. Rather, my vehement objection to ENCDC, in my view, is because it weakens the opposition movement by creating false hopes based on fairytales. ENCDC doesn’t bring anything new to the table and is simply the repackaging of EDA with all its contradictions and deficiencies. It is just new faces and organizational restructuring with old ideas and even more out-dated methods! ENCDC is EDA’s futile efforts to remain relevant with its contradictory and outdated political platforms. If ENCDC is to succeed, its stakeholders must shake off EDA’s legacy, take bold steps to resolve the contradictions within its political stands, prove that its political agenda and strategies are free of external interference, elect dynamic young leaders (i.e. less than 50 years old), and abandon its fairytale of forming government in exile and formulating transitional constitution. Instead of expounding fairytales, it should become a force for positive and practical change. Simple agenda with simple action plans work every time! Let us differentiate between cyber debates aimed at enriching the opposition camp versus political showmanship. Responsible writing and cyber debates are about expressing one’s views without being too disagreeable. Debate is about presenting opposing views. We should refrain from mischaracterizing the opposite views if we seek to enrich our debates. Mischaracterization is about engaging in politics. Worse is character assassination which has no place in debates or even in politics. In my view, those who engage in character assassination manifest their own mental instability. I don’t differentiate among PFDJ, EPDP or EDA/ENCDC supporters. Who they are is who they are – unstable! Cyber writers may feel that they are modern day warriors, believing that the pen is mightier than sword. I can assure my readers that although many members of the active opposition read the latest news, not more 100 active opposition members regularly read cyber articles, i.e. analysis type articles. Even within those active readers, most scan these articles to pick up key words and finding none that interest them, they are finished within minutes. In order to get higher readership, these articles need to be more controversial that draw on our emotions. It is for this reason that Yosef G. & Ali Salim fire up our discussions. It is for this reason that the “Lion of Afabet” attracts many comments while other articles with far deeper discussions draw no response. We scan to pick up key words, give it our own interpretations while missing entirely the author’s message because we are poor readers (this writer included). The cyber debates on Eritrean opposition websites generate more heat than light on the contentious issues. 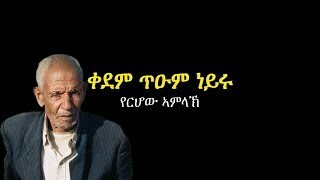 Such writers as Yosief Ghebrehiwot, Ali Salim and Tebeges, as interesting and eloquent writers as they may be, have become the lightening rods of our discussions with their skewed and unrealistic discussions. 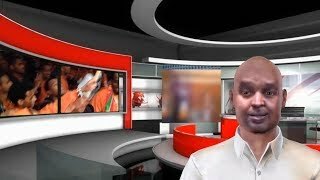 Some others, such as assenna.com and awate.com have undeservedly become the focus of negative propaganda. Although, these websites could have used their resources for more effective and focused propaganda, yet on the balance, these websites have and continue to play a pivotal role within the opposition camp. Especially for the last two years, Assenna.com has done a splendid job in its reporting, interviews and news scoop-ups. As long as opposition websites remain generally civil in their campaign against the regime and towards other opposition groups or views they disagree with, they should be given the highest degree of tolerance. Even if we disagree with them, we should give them credit for their dedication and perseverance. It remains our job to convince them in civil and friendly manner that the better way is found somewhere else. Instead of antagonizing the messengers, better to address the cyber writers themselves. First, such writers as “Alena” will always overreach as he admitted his errors in his libelous accusations on Amb. Abdella Adem. We were led to believe that Alena was telling us facts about the personalities he mentions in his series of articles. Alena’s defense when criticized for misleading his readers was that he retracted his story once he found out it wasn’t true. That is not good enough! This episode yet again exposes the challenges of dealings with cyber writers who are, for all intents and purposes, outside the realm of libel laws. What Alena fails to understand is that irresponsible writing without the corresponding legal leash leads to infringement of people’s rights. If we are to build democratic Eritrea, people like Alena should learn that they can’t hide behind “I am sorry I made a mistake” retractions. Mistake is a fact of life, but the question remains whether Alena’s mistakes were due to negligence, lack of “due diligence” or due to unforeseen reasons. The question is, before condemning Amb. Abdella Adam, did Alena conduct “due diligence”, i.e. seek to verify given information from multiple sources, to confirm the accuracy of the information given to him, or did is he simply write based on ‘hear-say’ information obtained from a conversation over coffee. If Alena didn’t engage in “due diligence”, he may be accused of negligence which doesn’t absolve him from his mistakes by simply saying ‘sorry’. Apologies for negligence don’t absolve one from legal responsibilities. Alena’s writing modus operandi is, “Ready, Fire, Aim!”. 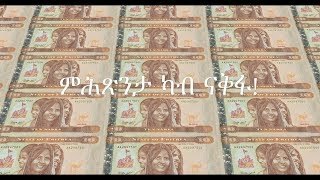 It is for this reason that I believe people like Alena are part of Eritrea’s problem, not its solution! Those who cheer Alena are also part of the problem. 2. Re-examining one’s position periodically to confirm if one’s original assumptions and premises are still valid under current circumstances. Socio-economic and politics are dynamic and thus their solutions may not be static. Yesterday’s solutions may be today’s impediments. Dynamic changes take place not only within the confines of our borders, but also beyond our borders. It is high time we understand that we can not charm the general public with fairytales. The public will only rally around the opposition camp when its political platforms are realistic and prudent. In my humble view, at this point in time, EPDP is the only major opposition political movement with realistic and pragmatic political platform, and as such now carries the burden of the entire opposition movement on its broad shoulders. EPDP should raise the political and ethical standards which others must emulate. Eritrean opposition politics in Diaspora is fought as if the members of the active opposition are the king makers in Eritrea. In reality, active opposition remains fragmented, lacks focus and doesn’t have deep and wide technical experience to steer the opposition public towards a common goals. Remote control politics is susceptible to fairytales and wishful thinking. The gung-ho mentality in the comfort of a safe distance is reduced to confusion and panic in realistic situations. Although the right to defend oneself is an inherent right, aside from the question of the principles of self-defense, no one has effectively argued how an armed struggle would be waged, the likelihood of its success and how to overcome the negative ramifications. Despite a vast pool of 150,000 Eritrean refugees in neighboring countries, EDA has only managed to recruit handful of fighters who engage in armed clashes once in long while, with minimal damage, for the last ten years. What can we do at this pace? Nada, zilch, nothing! It is suffice to say that the debate about armed struggle is stuck at the principle level, and has not moved down to the pragmatic political and actionable level. Only EPDP has boldly managed to pursue pragmatic politics. For emphasis, if we continue debating at principle level, nothing will get done. Debates should be advanced to pragmatic and actionable levels, with reasonable expectation of success. Whenever confronted with strong debates, the opposition camp has the tendency to retreat to the most basic principles which can’t be debated. Unfortunately, the devil is in the detail! Let us move forward in our debates. In my humble view, as shared by others on opposition cyberspace, the new opposition bloc should be divided into the ENCDC (ex-EDA) and EPDP-oriented coalition groups. The two coalition blocs would agree to refrain from any hidden or explicit negative propaganda aimed at each other. For clarity, this doesn’t mean that debates should be stifled as active debates are the best way of accentuating one’s own political platform. Rather, the opposition camp would debate burning issues in civil manner, which will mean totally refraining from any slanders and defamations. We can debate passionately without being disagreeable! What should the new bloc advocate for? 12. PIA’s legacy has created deep distrust towards government, authority & politics in general. This will mean, unlike in 1991, that it will be far more challenging to attract both domestic & international investors for another decade after the fall of the regime. Every social and economic ill that can fall on a nation has been meted out against Eritrea by the PIA regime for his own political agenda. Unfortunately, all these issues will bubble to the surface the day after PIA is gone. ENCDC/EDA’s prescription for a country in a state of comatose suggests either they are misdiagnosing the problem or giving the wrong medication. ENCDC’s fairytale is based on the active opposition forming an all Diaspora transitional government with “transitional Constitution”, sweet-talking the desperate Eritrean public to jump on their “Happy Go Lucky” carousel in post PFDJ Eritrea. In reality, what will be needed are more sophisticated and experienced government leaders that are able to make prudent decisions quickly, with good political judgment and accountability, and able to resolve issues as they arise. Has EDA shown us any of these characteristics in the last ten years with even relatively small issues? Unfortunately not! For clarity, many ENCDC enthusiasts may complain for mischaracterizing “their” movement/activities. But “all roads lead to Rome” and there are enough indicators, communiqués and EDA studies & history to show clearly where it is headed. It is suffice to say that if minimum political platforms and conflict resolutions had worked, EDA would have worked! ENCDC isn’t built on minimum political platform but on the maximum platforms of the few opposition political organizations, as manifested in ENCDC’s communiqués, upon the behest of its sole sponsor. To believe that ENCDC would return to the founding principles and general understandings of EDA would be naïve! If we don’t know and debate why EDA failed, we are doomed to make the same mistakes with ENCDC. Sweeping past mistakes and experiences under the rug doesn’t advance ENCDC one bit forward! 2. Peaceful resistance should be advocated as the central and most prudent tool of change … and sorry, no apologies for what we believe. 3. The primary focus during the transition period should be the restoration of the rule of law and stability, rather than pursuing ENCDC/EDA’s fairytale approach to managing the transition period. 4. Although justice must be served, “truth-and-reconciliation” should be the primary task of the transitional government. 6. Continually campaign and inform young Eritrean Defense Forces and veteran tegadelties that their livelihoods will be taken into serious consideration in formulating socio-economic policies. This will include guaranteed employment for up to ten years with full pension benefits. 7. “Affordable” housing projects will be built throughout the country to help young people settle into normal life. The opposition bloc should establish “affordable housing” committee to draw up plans and obtain external funding. Key here is to campaign, and campaign, and campaign …! In brief, in the current state of opposition, the prudent and sensible coalition should establish committees and work with like-minded civic societies to draw up concrete plans, i.e. delivery of justice, housing, demobilization, repatriation of refugees, hard currency, etc…with funding commitment if possible, for the transitional government. This is the only value-added contribution that the opposition camp can bring to the table to post-PFDJ Eritrea, rather than expounding fairytales. We shouldn’t ever think that the day after the fall of the regime, esp. a revolutionary type of change that the public will be patient be enough to let the new government address burning issues at its leisure. The demands by the various segments of the Egyptian population after the fall of Mubarak are tame by comparison. Let us stop taking the word “opposition” literally. Every time the regime says ‘white’, we don’t have to say ‘black’ for the sake being the opposite. PIA’s modus operandi is confrontation and bullying! The opposition camp is reacting by becoming a mirror image of PIA, with confrontation and bullying. We dance to his tune! We should learn a more sophisticated approach of being confrontational and yet GENUINELY being conciliatory. That is how the rest of the world plays! When the regime says ‘white’ we can say ‘off-white’, ‘beige’ or something that ain’t totally the opposite. By abandoning our totally antagonistic approach we are sending out stronger signal to the public who tries to balance among many factors, and is not necessarily intended to reach out to those on both extreme ends of the political spectrum. The regime won’t understand this language and extremist opposition will accuse us of being weak, but our focus should be, with full conviction, to keep our thumbs on the public’s pulse. 1. Instead of ignoring the regime’s achievements, it is better to give credit while highlighting the shortcomings. By ignoring the regime’s propaganda, the regime has managed to win the benefit of doubt from the Diaspora public. Rather, one can give credit for road projects but then inform the general public why these projects are NOT priorities or that not enough has been done compared to Ethiopia for instance. For example, PIA prides in the 80MW electricity plant in Hirgigo, which doesn’t even meet the current Eritrean stagnant economy, while Ethiopia has built more sustainable, distributed and higher capacity within the same time. Our reports and documentaries would cover every facet of our socio-economic, legal and political realities and challenges. In the process we learn about ourselves while educating others. Moreover, we, the active opposition, will learn that there is much more than telling fairytales. In addition, by giving credit and then simultaneously criticizing the regime’s achievements, implicitly, we send out the message that our campaign isn’t about bitterness and vengeance but about sensibleness, concern and balanced approaches. 2. Contrary to opposition propaganda, we should encourage foreign investment in Eritrea, including mining. Repressive regimes don’t need a lot of money, as is the case of North Korea for example. They rely on their brutality, which is all about the stick and none of the carrot. True to his Leninist/Maoist communist mentality, it is PIA who is probably most concerned about any form of economic development in Eritrea. Economic growth is the seed of political change and that is what PIA is most afraid of. Today’s China is one example where political reform, as slow as they are but still significant progress in the last 20 years, are being pushed to keep up with economic growth. Unwittingly, the opposition camp is singing to PIA’s tune. More often than not in history, too much bread rather than too few bread have been catalysts for change. As we have seen in Tunisia and Egypt, it is facebook and twitter that played significant roles in influencing change. For example, foreign investment in Eritrea will require high broadband internet access, with benefits percolating to the general Eritrean public. Young Eritreans would enjoy the same benefits as their counterparts in Tunisia and Egypt, such as facebook and twitter. Moreover, PIA is merely mortal and will give up power either through natural or other ways. If the next government is to have a fighting chance to revive the Eritrean society and economy without much delay, it will need all the resources it can get at the point of transition. Established mining revenues will go a long way in putting us back on the fast path to economic recovery. We will need all the resources we can get from the beginning, i.e. DAY ONE, lest we be remembered for burning down a house that was torched by the brutal regime. 3. Use international legal means to annoy the regime, or to even put it on notice that its brutal actions won’t go unpunished. It took one man, Mr. M. Ephreim, to bring PIA to AU’s Human Rights Commission and win. What has EDA done in its existence? Others are considering ICC. Why not encourage EU to fund development projects in Eritrea and at the same time put them on notice that they should not fund slavery projects less relevant international laws will apply. In this case, the objective would be for development projects to continue while Warsai youths are paid fully for their efforts. The regime will refuse as it has done in the past, but the opposition will gain two things: first, in the process, the opposition camp gains experience in sophisticated art of propaganda and dealing with donor countries. Ethiopia’s role in the opposition movement should be cautiously addressed. PM Meles (PMMZ) is doing great for Ethiopia, and is probably the shrewdest and most prudent leader in Africa, and possibly beyond. Having said that, we have no assurance that PMMZ & Eritrea’s political agenda are aligned. This doesn’t mean that one is right and the other is wrong, but the optimal political position for both countries is reached by each side assessing its own long-term interest and using their relative strength to push for their optimal, if not maximum, position. Every country wants weak neighbors that it can influence, if not dictate, and Ethiopia is not an exception. But the question is, what is the opposition doing to maximize Eritrea’s position? Unfortunately, EDA, and possibly ENCDC in its footsteps, appear to be gambling their shirts on Ethiopia’s direct interference, despite their meek denials. One is left with a nagging feeling that the current struggle is less about political prudence and more about salvaging personal & organizational legacies (for both the regime & veteran opposition). Fortunately, Mother Nature is probably doing its job to resolve Eritrea’s woes. If latest Assenna.com and Gedab information is confirmed, PIA is suffering from liver disease. If so, this may not give PIA too much time and change of government might be stone throws away. Where are we headed? EDA/ENCDC’s fairytale government in exile managing the country during the transitional period is unrealistic. As we are learning from the changes taking place in the Middle East, and before that in Myanmar (Burma) and many other places, the military is the most significant component, if not the determining factor, in which direction change will take place, if ever. The transitional period from brutal dictatorship towards democracy is probably the darkest period, probably even worse than under dictatorship, because all the ills contracted under dictatorship boils over in the transitional period. Thousands of decisions must be made quickly and firmly by very few people (leaders), possibly risking lapsing into yet another worse dictatorship. Transitional period is a tricky period that requires balance between stability and yet the need for reform. This is also confirmed by the ENSF leaders at a recent public address in Sweden. As such, the primary task of the transitional period is the restoration of the rule-of-law and ensuring stability. EDA style infighting over hodge-podge issues will only add more issues to existing bread and butter issues. It is like pulling the country apart in thousand directions. Representation in the transitional government should be composed of all the stakeholders, including ethnical groups, tegadelties, Warsai Yikealo, military, police, youths, women, religious groups, Diaspora, refugees, elders, workers, civil service, farmers, pastoralists, political prisoners, etc… Preferably each representative in the transitional government should have constituents located in Eritrea. How do we select these? 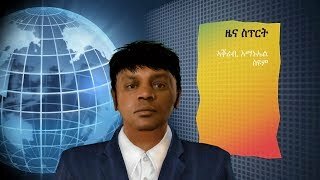 Just to annoy enough cyber readers, I say that Mr. Mesfin Hagos should be in charge of stability, including being in charge of the Eritrean Defense Forces and Mr. Woldeyesus Ammar should be in charge of reforming the government. Heads of civil service, political prisoners who were formerly top government officials, new representatives from each army division and police forces, known elders, etc… some 100 of them, would be tasked with managing the transitional period. Let us observe the events of the last few weeks in the Middle East and follow it for the next few weeks. We can learn so much! In my personal view, few of EPDP’s supporters are over-reacting to the underhanded slanderous and libelous attacks on its organizations and leaders by its detractors. In defending what we believe, we do not necessarily have to lower ourselves to their levels. What we seek is more integrity, not less! EPDP should remain the beacon of hope by pursuing its sensible and prudent political platform regardless of the vehement attack against it. Politics is brutal and those who pursue that life must develop thick skins ignore the annoying distractions and remain focused on their agenda. As I understand it, EPDP has not shown any ill-will towards ENCDC but simply has not recognized its legitimacy as an umbrella group that represents ALL the opposition groups in Diaspora. That is entirely within EPDP’s right and nobody can bully EPDP to accept and twisted agenda. Ultimately, all interested parties must negotiate to each side’s satisfaction, and to part ways if they can’t reach an agreement. ENCDC stakeholders may feel that momentum is on their side. But this is enthusiasm of the inexperienced. EPDP should allow ENCDC enthusiasts to learn from their own experience the brutal realities of politics. In about two years or less, enthusiasm will fade and reality will begin to sink. It is at this time that EPDP’s position will look most pragmatic and the pendulum will shift towards EPDP. In the meantime, EPDP should remain conciliatory and pleasant enough to let the dissatisfied and the disillusioned to return to its fold without feeling that they are coming back humiliated. In the end, it won’t be our political platforms only but also people’s skills that will us supporters. Finally, it is interesting that meskerem.net remains arguably the most irritating Eritrean cyber media for the opposition camp. It is unfortunate we have lost this website to the regime. This website is actively engaged in trying to drive a wedge among the various opposition groups for the benefit of the regime. But unwittingly, it is also helping to bring to the surface all the contradictions within the opposition camp. The opposition camp suffers from the ailments as the regime – secrecy and sweeping issues under the rug. This website brings these to the fore.